United Auctions (UA) are gearing up for their annual one-day Bull Sale on Monday, May 4th when 211 pedigree cattle come to Stirling Agricultural Centre. The compact format of this popular multi-breed event will see pedigree bulls and females staged on show and sale over a single day in a bid to ease the pressure for customers at this time of year. 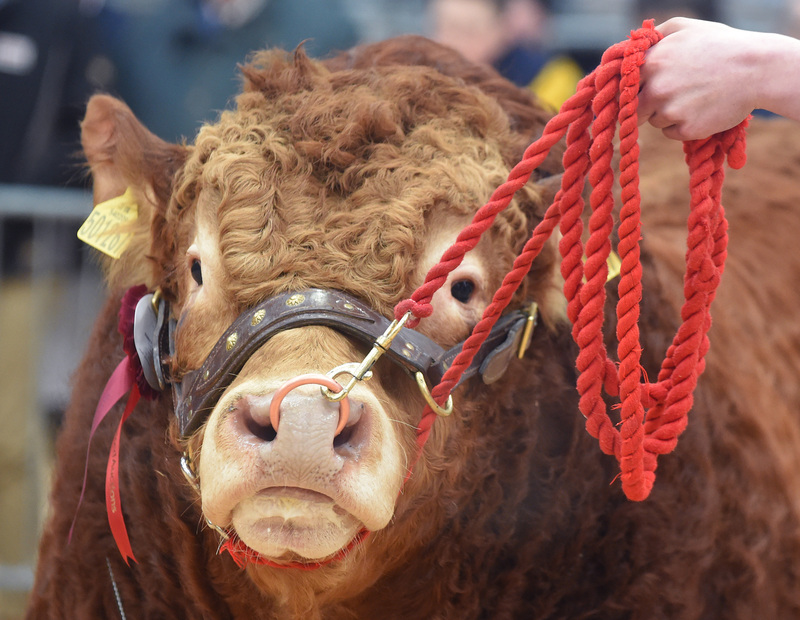 The event takes place in the 150th anniversary year of the Bull Sales and will run in conjunction with a major beef breeding sale with an entry of approximately 500 head, including 120 stock suckler cows with calves at foot from Aberbothrie. 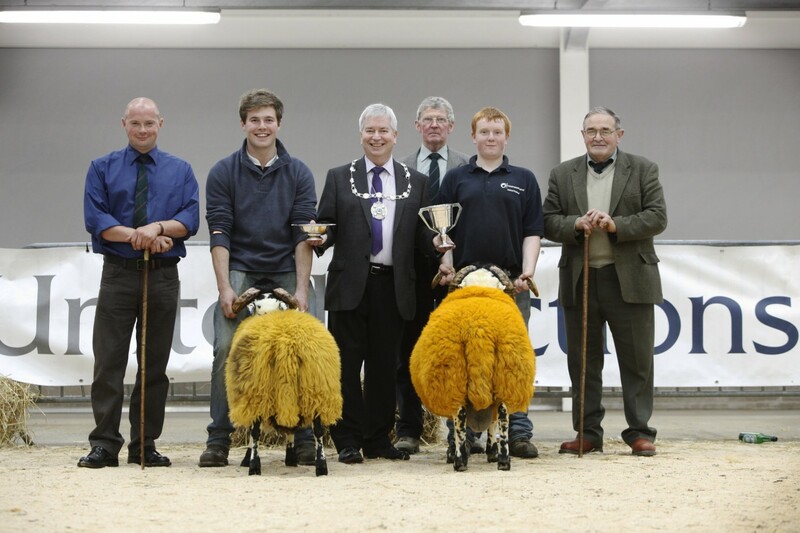 Two Stirlingshire farmers, Katreen Millar of Lochend, Port of Menteith and John MacGregor of Allanfauld, Kilsyth will judge the Charolais and Limousin shows respectively. Scotland’s leading livestock auctioneers are also delighted to welcome a new main sponsor for this year’s event – Agricar Ltd. The tractor dealership occupies the purpose-built outlet at the Centre and will have a presence at the event. In addition, UA are hosting an SRUC workshop on the control of Johnes disease in cattle on the same day. This meeting, funded by QMS, will be held at 4pm in the Centre’s conference room. Full catalogue details for the Sales are available on the pedigree page of UA’s website along with access to the sale ring’s live webcam. Opportunities for photographs are available from Sunday 3rd May. Beef Shorthorn – Elizabeth Lang, The Bungalow, Rosewells, Pitscottie, Cupar KY15 5LE. United Auctions (UA) are Scotland’s leading livestock auctioneers and procurement specialists and operate a network of different auction markets across Scotland, including Stirling, Huntly, Lairg, Dalmally, Tiree, Islay, South Uist and an area office and lairage facility at Oban. 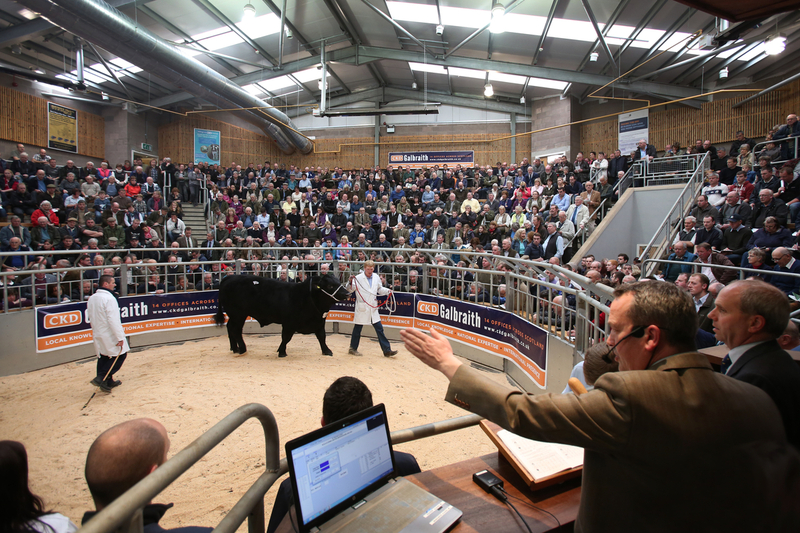 The company conducts auctions of both commercial and pedigree livestock, including the world-famous Stirling Bull Sales, and provides farm-to-farm and farm-to-abattoir procurement services. In 2013, UA was named in the London Stock Exchange’s ‘1000 Companies to Inspire Britain’ and in 2015 it was ranked in the top 20 of Insider’s SME300. In response to customer enquiries at the Stirling Bull Sales, United Auctions confirms they have registered an interest in Caledonian Marts. Robin Tough, Group Joint Managing Director, said: “Our priority is to continue to focus on farmers’ requirements and to respond to changes in the market place. “We have reviewed our sales calendar to allow back end sheep sales being held on Mondays with cattle-only sales on Wednesdays that will incorporate a prime cattle sale. 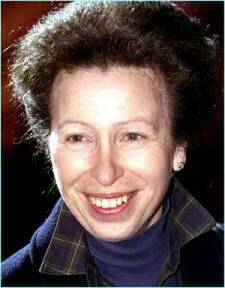 All press must apply for accreditation to cover the visit of HRH Princess Royal on the afternoon of Monday, February 2nd at Stirling Agricultural Centre. Princess Anne’s visit marks the 150th anniversary of the event. She is attending in her role as patron of the Beef Shorthorn cattle society and it is the first time a royal has visited the Bull Sales at Stirling. To apply for accreditation, please contact Jenny Kumar on jenny@jkconsultancy.com with your name, mobile, media outlet you represent and arrival time on Monday, February 2nd. 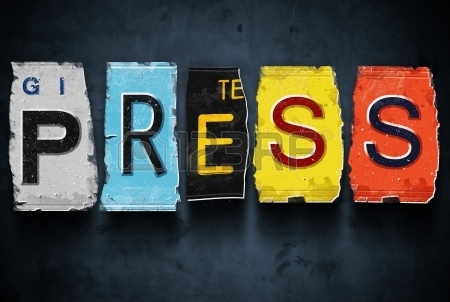 Once approved, please collect your assigned press badge from the media table in the concourse on arrival. The Sales have enjoyed royal support with HM Queen Elizabeth The Queen Mother being a regular consignor of Aberdeen-Angus cattle from the Castle of Mey. She visited the sales on a number of occasions and was very involved with the herd. HRH The Prince of Wales also attended the sales at Perth in 2002 in his capacity as patron of the Aberdeen-Angus Cattle Society. David Leggat, Executive Chairman at UA, said: “We’re looking forward with much excitement to welcoming The Princess Royal to the event, in which she has a personal interest. We do require all press and media to apply in good time for accreditation ahead of the Princess’ arrival on the first day of the sales. The Spring Bull Sales – sponsored by Bank of Scotland – offers 1150 pedigree bulls and females on show and sale from February 2nd and 3rd, continuing on February 16th and 17th at the Stirling Agricultural Centre. The world-famous event, now known as the Stirling Bull Sales, started in 1865 at the Perth Market in Mill Street. They were conducted by Macdonald and McCallum and comprised 14 Beef Shorthorns selling to a top of 39gns, averaging around 14gns. JM Fraser became a partner in 1871, aged 26, and Macdonald Fraser was formed. He was widely recognised as the pioneer of the Sales and did much to develop it into an international event. In the early sales, the numbers forward were small and it wasn’t until 1872 when numbers had increased significantly – and now included Aberdeen Angus – that they warranted a separate sale day from the normal Friday market. 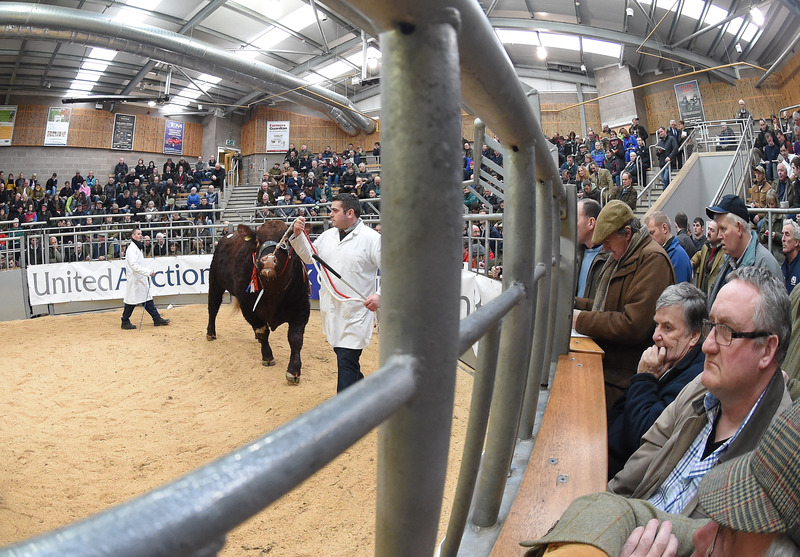 Held on a Wednesday in mid-March, 75 shorthorns sold for a total of £1964. 1875 saw the company move to larger premises at Caledonian Road and a sale on March 12th 1879 attracted the largest number of buyers including, for the first time, several from overseas, including Australia, New Zealand and South Africa. By 1892 the two breeds had separate sale dates: 286 Angus were sold on February 24th while 242 Shorthorns sold on March 2nd. The biggest prices came during two separate post-war booms. In 1920’s spring sale of Shorthorns, 486 averaged £302 with a top of 6600gns. This was significant because in all that year 2061 bulls sold to an average of £270. The next boom was in 1946 when brothers Pittodrie Upright and Pittodrie Uprise fetched 14,500gns and 14,000gns, respectively – an impressive amount for that time. In the 1950s and ‘60s, the Bull Sales had a big influence on the rise of Angus cattle to the US and Argentina. New names in the export trade included Alexander, Schofield and Gammie who were shipping to Buenos Aires and Clint Tomson of Harding and Harding was purchasing for the US. A groundbreaking influx of Charolais and Simmental breeds camein the early 1970s with Limousins following in the late ‘70s. Consequently, the Bull Sales was the largest collective sale of Charolais and Simmental in Europe by the 1990s. The catalogue for October 1990 records the sale of 356 Simmental and 510 Charolais. The event moved from Perth in 2009 and is now well established at Stirling Agricultural Centre in 2009 where it continues to thrive. United Auctions is delighted to confirm that HRH Princess Royal is to attend the Stirling Bull Sales in February 2015 to mark the 150th anniversary of the prestigious event. Princess Anne is attending the first day of the first week of the event in her capacity as patron of the Beef Shorthorn Breed Society. This will be the first time a member of the royal family has visited the Bull Sales at the Stirling Agricultural Centre. During her visit, she will view the show of Beef Shorthorn cattle and meet breed officials and Shorthorn enthusiasts. The world-famous event, now known as the Stirling Bull Sales, started in 1865 at the Perth Market in Mill Street and comprised 14 Beef Shorthorns selling to a top of 39gns, averaging around 14gns. In February 2015, 100 Shorthorn bulls and 35 females are catalogued, demonstrating that the breed continues to have an important role in commercial beef production. Macdonald and McCallum conducted the original sales of bulls in 1865. 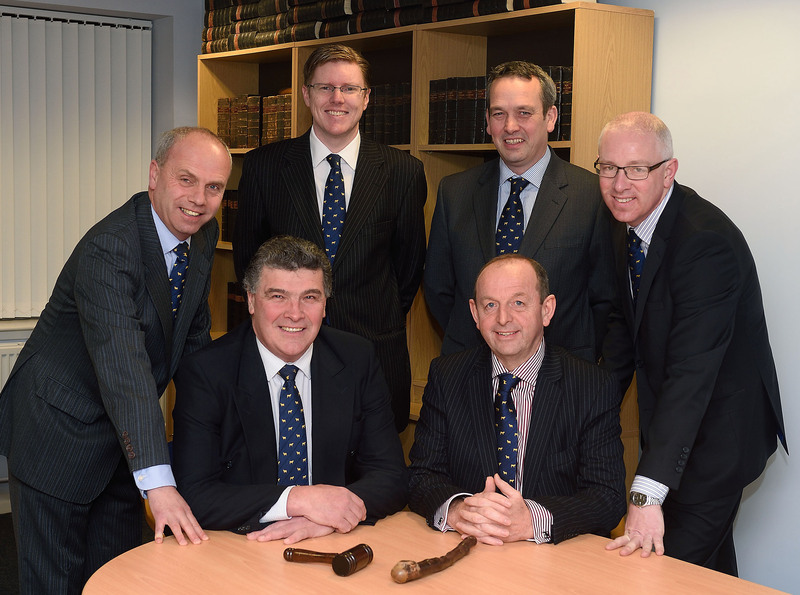 J M Fraser became a partner in 1871, and Macdonald Fraser was formed. He was widely recognised as the pioneer of the Sales and did much to develop it into an international event. 1875 saw the company move to larger premises at Caledonian Road and a sale on March 12th 1879 attracted the largest number of buyers including, for the first time, several from overseas. In the following years buyers from Canada, the US, Australia, Argentina, New Zealand and South Africa attended the sales. The Bull Sales became multi-breed affairs in the late ‘60s and early ‘70s with the rise of continental breeds of cattle. The event moved from Perth’s Caledonian Road to the Perth Agricultural Centre in 1990 and in 2009 it moved to the Stirling Agricultural Centre where it remains one of the major events in the UK’s Beef Cattle calendar. At the February Bull Sales, no less than 1150 pedigree bulls and females will be on show and sale. The event will be held from February 2nd and 3rd and will continue on February 16th and 17th at the Stirling Agricultural Centre. They are sponsored by Bank of Scotland. The stage is being set at the Stirling Agricultural Centre for a cast and audience of thousands when the curtain goes up for the Stirling Bull Sales next week. In the spotlight will be 809 pedigree bulls and females across nine breeds for Show and Sale from Monday October 20th to Wednesday October 22nd. United Auctions hosts the three-day event, which is sponsored by leading independent property consultancy, CKD Galbraith for the eighth year. One of the biggest dispersal sales in the recent history of the breed will take place when the Glenbuchat Angus herd go under the hammer on Monday 20th October, the first day of the event. 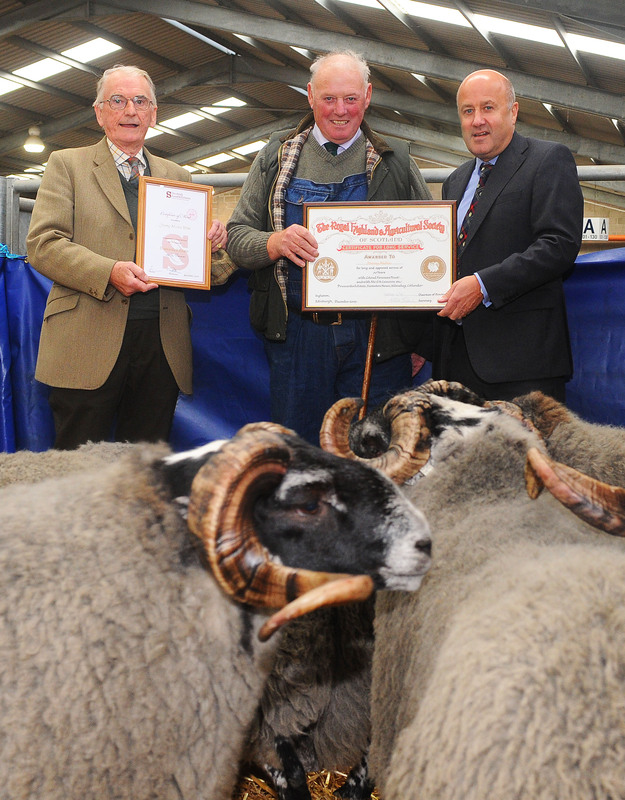 Former Scotland rugby captain David Sole of Glenbuchat Farms, Donside, Aberdeen is retiring from farming and selling his entire herd, totalling 96 lots, which he established in 2007. The prestigious herd, which is part of the Hi Health scheme, has bred a Senior Champion Bull at February Bull Sales in 2012 and an Overall Champion Bull in this year’s one-day Bull Sale in May. 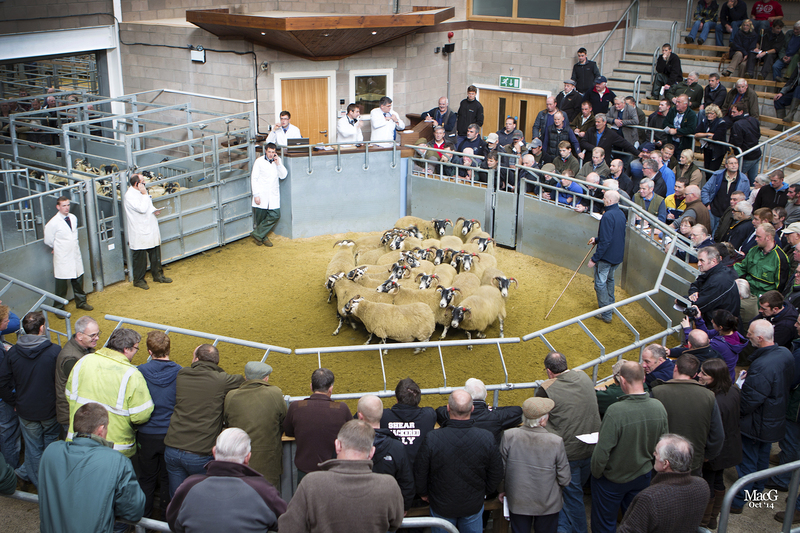 Scotland’s leading livestock auctioneers will welcome special guests over the first two days of the sales, including Stirling Council’s Provost, the Consulate-General of Japan and key industry players. Keen-eyed spectators will also spot filming taking place as BBC On The Farm will be following Sybil and George MacPherson, one of the farming families being documented in the programme, to be broadcast in 2016. -Ends- Issued by JK Consultancy on behalf of United Auctions.